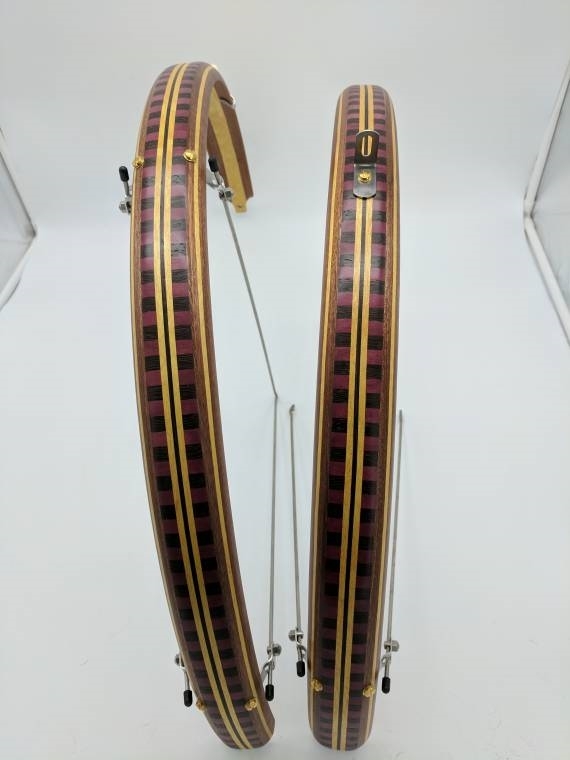 Super wild looking set of compound curve 700c x 2" fenders made out of Sapelle, Purple heart, Yellow heart, and Wenge woods. If you're looking to put a great conversation piece on your bike these are what you're after! Fenders come complete as a set of front and rear with all mounting hardware. Ready to ship- Heat Treated Ash 700c Ready to ship- Jeff D special Ready to Ship- Compound curve Purple & Black Checkers! 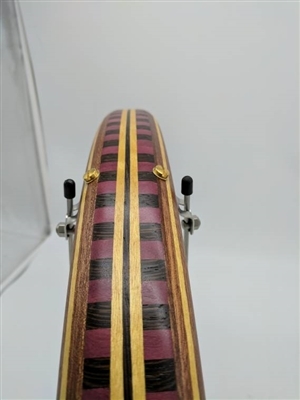 Ready to ship- Walnut with Purpleheart center 26"